We believe the Bible to be the only inspired, infallible, and authoritative Word of God (II Timothy 3:15-17; II Peter 1:20-21). We believe there is one eternal God. He exists in three persons- Father, Son, and Holy Spirit (Genesis 1:1, Matthew 28:19, John 1:1-2, 10:30). 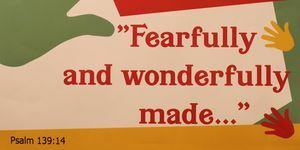 We believe that God created the world out of nothing and mankind in His image and upholds all of creation by His power. God created man and woman in his image and established marriage as a lifelong union between one male and one female. Biblical marriage is the only acceptable context for sexual intimacy. We believe in the deity of Christ, the only begotten Son of the Father (John 8:40, 10:33; Acts 2:22); His humanity (John 8:40; Acts 2:22); His virgin birth (Isaiah 7:14; Matthew 1:23; Luke 1:35); His sinless life (Hebrews 4:15, 7:26); His miracles (John 2:11); His substitutionary and atoning death (I Corinthians 15:3; Ephesians 1:7; Hebrews 2:9); His bodily resurrection (John 11:25; I Corinthians 15:4); His bodily ascension to the right hand of the Father (Mark 16:19; Acts 1:9); and His personal return in power and glory (Matthew 16:27; Acts 1:11; Revelation 22:12). We believe that because of the fall of mankind into sin, we must be reborn by the Holy Spirit unto salvation; and that people are justified on the single ground of faith in the shed blood of Christ and that only by God's grace and through faith alone are we saved (John 3:1-19; John 5:24; Romans 3:23-24, 5: 8-9; Ephesians 2:8-10; Titus 3:5). We believe in the resurrection of both the saved and the lost; they that are saved will be raised to eternal life, and they that are lost to eternal death (John 5:28-29). We believe in the spiritual unity of believers in our Lord Jesus Christ (I Corinthians 12:12-13; Galatians 3:26-28). We believe in the present ministry of the Holy Spirit in every believer, by whose indwelling and leading into Biblical truth the Christian learns to live a godly life (Romans 8:13-14; I Corinthians 3:16, 6:19-20; Ephesians 4:30, 5:18). We believe that Christ is now ruling and calls all people to recognize Him as Savior and Lord (Matthew 28:18; Acts 17:30; Ephesians 1:20-23). We believe that God established a covenant with parents and their children and that according to that covenant parents must provide for the Christian education of their children (Genesis 17:1-16; Deuteronomy 6:4-9). We believe that Ada Christian School is an extension of the educational role given by God to Christian parents. Help our children grow toward a mature Christian commitment, obedience to God's commands, and a proper relationship to God. Help our children form a biblical understanding of mankind, culture, and the world. Help our children become joyful servants in God's kingdom and good stewards of His world. Help our children understand their calling to be active Christian citizens. Help our children prepare for the vocations to which the Lord is calling them. 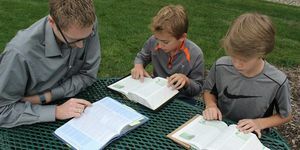 Help our children understand and appreciate the theological and ethical issues central to Reformed Christianity.